The Colorado Wine industry relies heavily on the support, the resources and cooperation from these partner organizations. We are grateful to them. Colorado wine industry’s private trade association and the producer of The Colorado Mountain Winefest the third Saturday of every September in Grand Junction and Palisade, Colorado. With more than 600 members, WineAmerica serves the interests of wineries in all 50 states by leveraging its formidable grassroots lobbying strength to benefit the entire industry. Besides offering policy guidance and government affairs advocacy for the national wine industry, WineAmerica also provides member discounts for UPS shipping, TiPS responsible server training, ShipCompliant direct-to-consumer compliance services, and some of the best labeling and COLA advice available anywhere. 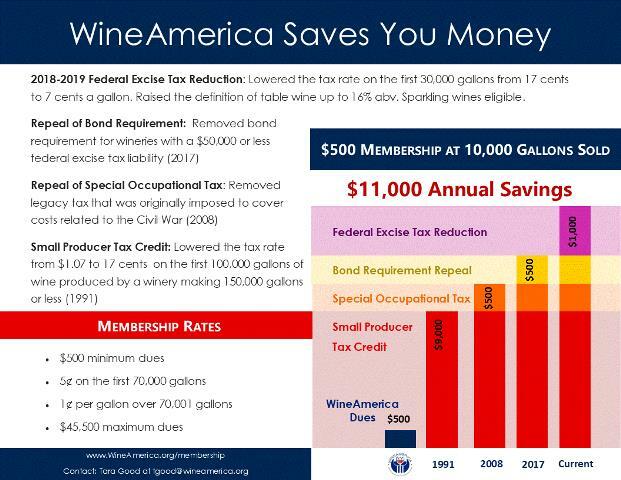 Additionally, WineAmerica’s advocacy activities on the federal level have saved small wineries lots of money over the years when they have successfully lobbied for reduced excise taxes and more. These cost savings more than make up for the membership fees. The Distillers Guild promotes, in every lawful manner, the common interests of the members and the licensed distilling industry in Colorado. The mission of the Liquor Enforcement Division is to gain and monitor compliance with Colorado liquor and tobacco laws and regulations through education, outreach, licensing, inspections and enforcement activities in conjunction and cooperation with local and state enforcement officials, local licensing authorities, the industry, advocacy and community groups and the general public.